Beautiful arrangement of pastel roses, lilies, mums, gladiolas, snapdragons, Bells of Ireland, carnations, heather and more. 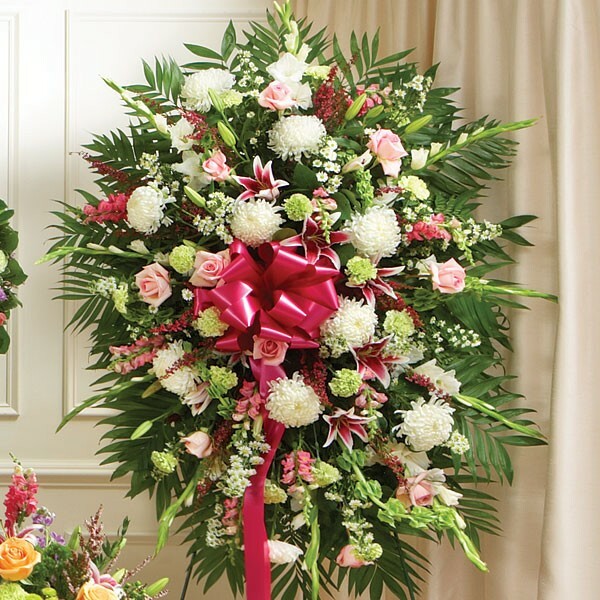 This arrangement is perfect for expressing your sympathy and compassion in this distressing time. Sympathy and funeral flower arrangements and plants from plantshed.com, your local NYC florist.